Essays on a The Old Man and the Sea Summary examine Ernest Hemingway’s story about Santiago, an old Cuban fisherman and his epic fight against a giant marlin far out at sea. Ernest Hemingway’s 1952 novel, The Old Man and the Sea, is the story of Santiago, an old Cuban fisherman and his epic fight against a giant marlin far out at sea. As the story opens, Santiago has gone eighty-four days since he last caught a fish. His string of bad luck has become so notorious in his village that many believe him to be curse. Manolin, Santiago’s apprentice, has been forbidden by his parents to sail with the old man because of this bad luck. Still, Manolin visits the old man each night, where they discuss baseball, including Manolin’s favorite player, Joe DiMaggio. One night, Santiago tells Manolin that the next day he will venture far out into the Gulf Stream and end his bad streak. By noon on the eighty-fifth day, Santiago has caught a marlin, but the fish is so large that he is unable to reel it in. Instead, the marlin pulls Santiago’s boat far out to sea. Two days and nights pass, but still Santiago holds on, developing admiration for his adversary. On the third day, the fish begins to tire, and Santiago hauls it close to the boat, killing it with a harpoon. Santiago ties the fish to the side of the boat and begins to head home, but the marlin’s blood attracts a great many sharks. As an exhausted Santiago reaches home, all that is left of the fish is its head and skeleton. The other fishermen marvel at the size of the great fish, and the old man promises to take Manolin fishing the next day. There are many insights about the ocean in this book. The Old Man thinks of it as feminine. This is an anthropomorphic view of the ocean. Equally anthropomorphic is the Old Man’s musings about the delicacy of certain birds, sea swallows. He wonders why such birds should be so delicate and yet have to live out their lives on an element that can be so “cruel”. There is a sense of mystery here and a sense of resignation. The ocean, like life itself, moves as and how it will; it can be partially, but not completely, understood by man’s finite intellect. The human connection is again feminine. The ocean is the Old Man’s mother; it nourishes him and it makes life possible. It has molded him physically; he has a benevolent form of skin cancer, and scars from various fishing episodes. His eyes are explicitly linked to the sea, “they were the same color as the sea and were cheerful and undefeated”. This last is important; the sea is seen as a good mother in spite of all the hardships she inflicts upon her sons. By extension, life is seen as good despite all of its difficulties. Symbolism in The Old Man and the Sea - This is a topic suggestion on Symbolism in The Old Man and the Sea from Paper Masters. Themes in the Old Man and the Sea - In The Old Man and the Sea, Hemingway refines some of the themes he has explored throughout his work. Character Analysis of The Old Man and the Sea - The main character of The Old Man and the Sea, Santiago, is a mature version of the typical Hemingway hero. Frederic Henry of A Farewell to Arms - The young man she was to marry was shot and killed in the war. Nobody Ever Dies - Nobody Ever Dies research papers examine the short story by Ernest Hemingway. For Whom the Bell Tolls by Ernest Hemingway - Research papers on For Whom the Bell Tolls by Ernest Hemingway are custom written on a variety of aspects of the famous novel. Symbolism in The Snows of Kilimanjaro - Symbolism in The Snows of Kilimanjaro research papers discuss the symbols found in Ernest Hemingway's book. Islands in the Stream - An example of Hemingway's work and attitude about life is the novel, Islands in the Stream. Hemingway on War - Hemingway on War research papers discuss how war profoundly shaped the writings of Ernest Hemingway. Men Without Women - Men Without Women and delve into a sample of an order placed on comparing and contrasting Ernest Hemingway's stories. A Clean, Well-Lighted Place - A Clean, Well-Lighted Place research paper explains Ernest Hemingway's short story and the symbolism within it. Hemingway's The Sun Also Rises - This is a topic suggestion on Ernest Hemingway's The Sun Also Rises from Paper Masters. Frederic Henry of A Farewell to Arms - Frederic Henry of A Farewell to Arms research papers explore the main character of Ernest Hemingway's classic novel. 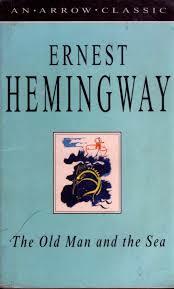 Hemingway Stories - Hemingway research papers on his short stories and novels. The Snows of Kilimanjaro - Ernest Hemingway's 1936 short story The Snows of Kilimanjaro is one of the most frequently critiqued works of fiction in the author's prodigious oeuvre. The Sun Also Rises - Ernest Hemingway research papers give examples of the experiences of an author's life being mirrored in his poems, short stories and novels. Literary Criticism of The Sun Also Rises - The Sun Also Rises Criticism research papers discuss what critics point out in Hemingway's novel, The Sun Also Rises. Character Analysis of The Old Man and the Sea - The main character of The Old Man and the Sea, Santiago, is a mature version of the typical Ernest Hemingway hero. The Sun Also Rises Symbols - The Sun Also Rises has Symbols, like bullfighting, that add deeper meaning to his story. Is A Farewell to Arms - Ernest Hemingway, research papers provide answers and questions to whether A Farewell to Arms is a "study of doom" as it has sometimes been called. For Whom the Bell Tolls - For Whom Bell Tolls research papers show how Hemingway expresses a strong sense of romanticism for dissolution in his novel. Soldier's Home - In 1924, Ernest Hemingway told Robert McAlmon that he had just completed the best story that he had ever written. He was talking about Soldier's Home. The Sun Also Rises Characters - Collectively, the characters in The Sun Also Rises all seem to reflect a sense of feeling incomplete or having suffered some kind of trauma that leaves them psychologically damaged. For Whom the Bell Tolls Summary - A summary on For Whom the Bell Tolls discuss how Ernest Hemingway's novel expresses the importance of individuals of all ages. Hills Like White Elephants Literature - Hills Like White Elephants research papers on Ernest Hemingway's masterpiece. The Sun Also Rises Themes - The Sun Also Rises Themes was one of Ernest Hemingway’s most profound novels, and contains a number of complex themes, each more demonstrative of his writing skills than the next. Paper Masters writes custom research papers on a The Old Man and the Sea Summary examine Ernest Hemingway’s story about Santiago, an old Cuban fisherman and his epic fight against a giant marlin far out at sea.